Callahan got some brief experience with the Mets in 2017 where he pitched 6.2 innings and had a 4.05 ERA. Callahan has a good frame at 6’ 2” and 230 pounds. He can throw up to four pitches (fastball, splitter, cutter, curve) and his fastball can get into the high 90s. He was drafted by the Boston Red Sox in the second round of the 2012 MLB Draft and pitched in five games for the Gulf Coast Red Sox that same year. Callahan spent the 2013 and 2014 seasons as a starting pitcher in Low-A and Regular-A ball as starter but was not successful and moved to the bullpen in 2015. In 2015, Callahan remained in Regular-A ball and saw better results as his ERA fell from 6.96 to 4.53. 2016 was a breakout year for Callahan, posting a 3.29 ERA at High-A ball and earned himself a spot on the Red Sox Double-A team in 2017. He had a nice 1.08 ERA in 10 games before his quick call-up to Triple-A in May where he had a 4.03 ERA before being traded to the Mets. 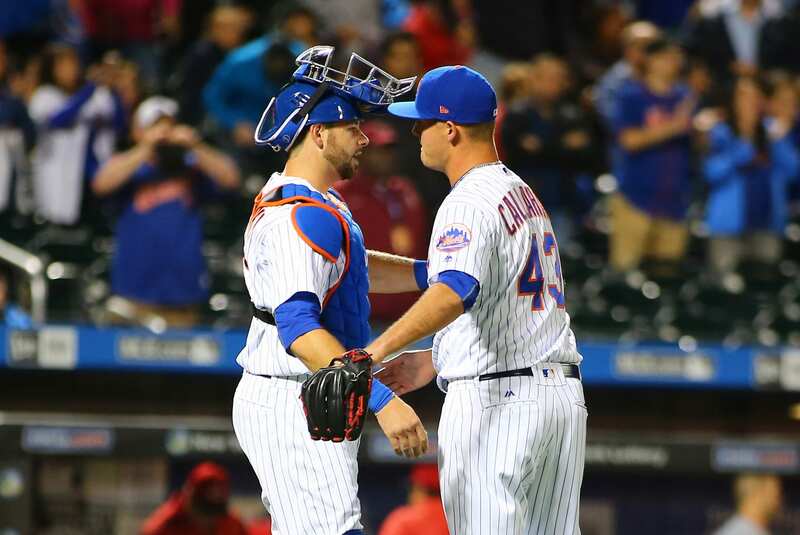 After the trade Callahan had a 1.80 ERA with the Las Vegas 51s and then joined the Mets as a September call-up. Callahan figures to be in the mix for a bullpen spot in Spring Training, but the Mets may want him to spend more time in the minors. He is currently ranked #28 on the Mets top 30 prospects and can potentially be an important middle reliever for the Mets.